ATLANTA, Ga., Feb. 22, 2012 (SEND2PRESS NEWSWIRE) — Alisa Hamilton, director of project management for CMI, will present sessions with St. Jude Children’s Research Hospital(R) and Merkle, a CMI client, at the 2012 Washington Nonprofit Conference. The conference will offer more than 30 educational sessions, a keynote presentation, and roundtable discussions covering innovative strategies and creative approaches to fundraising that help nonprofits develop new initiatives and increase donations. Where:	2012 Washington Nonprofit Conference, The Renaissance in Washington, D.C. When:	Thursday, March 1 and Friday, March 2, 2012. Hamilton will join CMI client Angie Moore, senior vice president, CRM at Merkle, Inc. They will discuss the importance of constituent satisfaction and how it is imperative for nonprofit organizations in order to generate greater financial returns and improve donor retention. Hamilton and Moore will share new results from a groundbreaking study that marries constituent attitudes with their giving behavior. The study was conducted across four health charities to provide a rich understanding of the nonprofit landscape. They will address the primary drivers of positive and negative experiences and how improvement in these areas equates to increased retention, donations and overall constituent value. Also, attendees will learn how this information can be used to prioritize marketing investments for the greatest gains with specific targeted donor segments. Hamilton will also join Suzanne Ray of St. Jude Children’s Research Hospital to share important insights into customer segmentation and how it can help prioritize resources and improve campaign effectiveness. St. Jude Children’s Research Hospital and many other organizations have found that segmenting donors into groups saves costs and dramatically improves returns. In fact, using effective segmentation strategies to understand donors and their decisions is key to growing and retaining a donor base without breaking the bank. * How St. Jude has effectively used segmentation to improve their direct marketing programs. CMI is a full-service marketing research company that combines comprehensive market research expertise with marketing insight to provide clients with a deep understanding of their customers by identifying the choices they make and why. Since 1989, CMI has delivered unique solutions to uncover opportunities, optimize marketing strategies, and improve performance for clients in consumer and B2B markets. CMI’s experienced team of market research consultants leverages a wide range of qualitative and quantitative methods and technologies to translate research into insights and insights into actions. CMI serves primarily Fortune 1000 clients. For more information about CMI, visit http://www.cmiresearch.com . Merkle, a customer relationship marketing (CRM) firm, is the nation’s largest privately-held agency. For more than 20 years, Fortune 1000 companies and leading nonprofit organizations have partnered with Merkle to maximize the value of their customer portfolios. By combining a complete range of marketing, technical, analytical and creative disciplines, Merkle works with clients to design, execute and evaluate Integrated Customer Marketing(TM) programs. With more than 1,500 employees, the privately held corporation is headquartered near Baltimore in Columbia, Maryland with additional offices in Boston; Chicago; Denver; Little Rock; Minneapolis; New York; Philadelphia; Pittsburgh; San Francisco; Seattle; Hagerstown, MD and Shanghai. For more information, contact Merkle at 1-877-9-Merkle or visit www.merkleinc.com . Since opening 50 years ago, St. Jude Children’s Research Hospital has changed the way the world treats childhood cancer and other life-threatening diseases. No family ever pays St. Jude for the care their child receives and, for every child treated here, thousands more have been saved worldwide through St. Jude discoveries. The hospital has played a pivotal role in pushing U.S. pediatric cancer survival rates from 20 to 80 percent overall, and is the first and only National Cancer Institute-designated Comprehensive Cancer Center devoted to children. It is also a leader in the research and treatment of blood disorders and infectious diseases in children. St. Jude was founded by the late entertainer Danny Thomas, who believed that no child should die in the dawn of life. Join that mission by visiting www.stjude.org or following us on www.facebook.com/stjude and www.twitter.com/stjude . 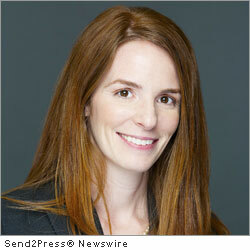 - Photo Caption: Alisa Hamilton, director of project management for CMI.